Recently I met Martien at my home. He took his brand new JJ-CCR and offered me the first glance of this very nice rebreather. 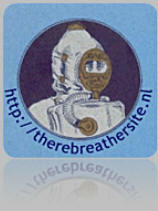 Martien followed his Inspiration rebreather training in the Netherland with IANTD. John Dekker his trainer, took him through level I, II and III. Martien dives his unit on the North Sea for people who do not know this Sea, it is not very easy diving. Many times there are currents and visibility is not always at best. Since Martien loves to dive in wrecks he wants a reliable unit and found this in the Inspiration Vision rebreather. Unfortunately for Martien he is a short guy, so his arms are too. (although these arms have a absurd diameter ;) ) He had troubles with the front mounted counter lungs of the Inspiration and decided to try the JJ-CCR. With pain in the heart he switched from Inspiration to JJ_CCR. Together we took several hours to compare this new rebreather with other units. I was happily surprised to find a very well build high quality unit. Of course there are advantages and disadvantages compared to Meg or Inspo, but I have to say I was impressed with the high standards of this rebreather. In other words: a great and very well build rebreather. Know how of divers and not of designers. There are positive and some negative aspects but see for yourself. (included or not included depends on the configuration). Shearwater Predator controller and real time decompression mixed gas dive computer. (third party). 32 kgs with 2 x 3 ltr tanks and absorbend, 19 kgs without absorbend and without tanks. Axial scrubber 2,3 kg, duration 168 minutes (@40mtr,40ltr/min, 1,6 ltr/CO2) Sofnolime 797. Radial scrubber 3,0 kg duration 230 minutes (@40mtr,40ltr/min, 1,6 ltr/CO2)Sofnolime 797. Diluent first stage DIN G 5/8"
AFAIK no CE marking today. CE marking in progress. Shearwater Predator controller has dedicated functions for this rebreather. HUD fully independent of shearwater controller, equipped with three dual color LED (3 colors). HUD has complete redundant circuit with own power circuit and functions even without the Shearwater switched on. HUD and Shearwater have separate calibration sequences. ADV with automatic and manual addition modus. Manual valves with the possibility to connect external gas sources, for both oxygen and diluent side. Controller has OLED with adaptation to ambient light level. Gas injection at the T-Piece, not on the bottom of the CL. Scrubber head is screwed on the innerscrubber and pushed in the external (the one with the text) aluminum scrubber holder. On the backside of the unit there are two tubes vertical mounted to add weight to the rebreather. The unit is made with very high quality materials and offers many possible configuration. The "hardware" is extremely heavy build. The unit is 32 kilo and is very stable on his stand. The controller is made in Canada and not a part of the rebreather factory. Also there is no CE marking so far but that seem to be changed soon. To me the unit seems very reliable, very well build for a competitive price. 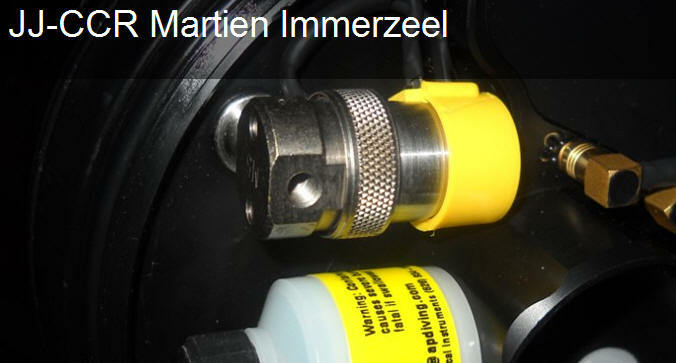 Here you find detailed pictures of the unit of Martien Immerzeel. 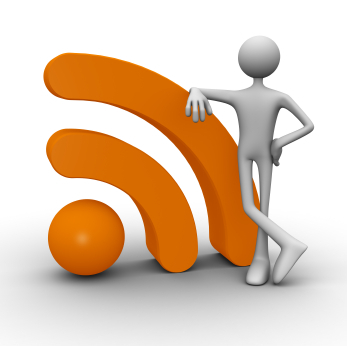 Also I would like to thank Martien for his kind cooperation to make this article! please do not forget to click the in the Gallery for additional textinformation.